A very special Happy 60th Birthday to Grandma S. today! Surprise, surprise. We gotcha good! 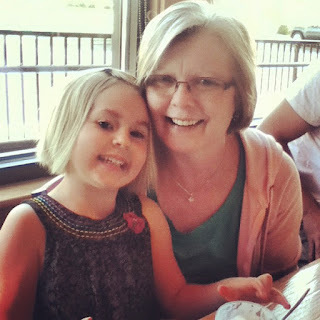 To the woman who loves lunches with her girlfriends, popcorn, Hot Tamales, her namesake granddaughter, the color purple, margaritas, her family, and the holidays .... happy birthday, we love you!